Today, somewhere that stands out from many of the other beer places that are opening at the moment. 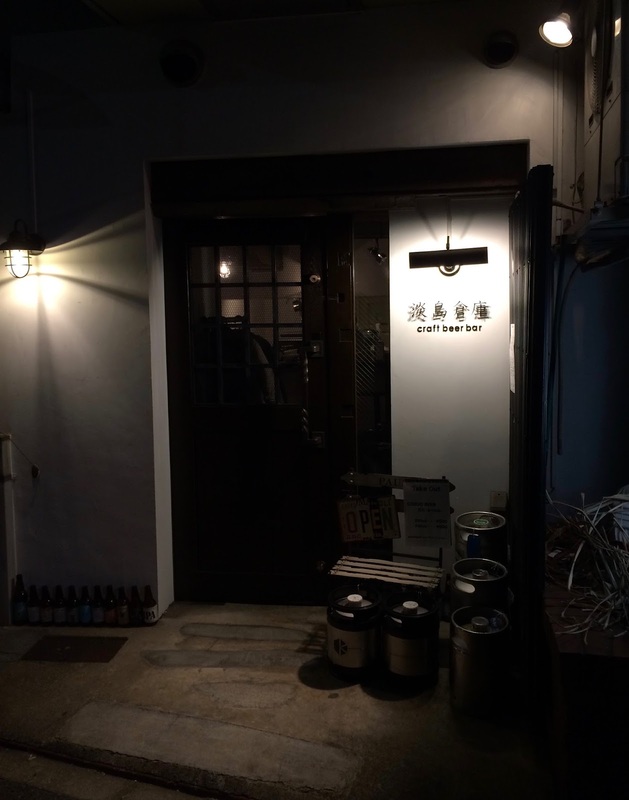 Awashima Soko is a tiny beer pub with great looking food in a slightly difficult location that specialises in serving beers from Japanese breweries that are rarely seen on tap elsewhere in Tokyo. - Pretty tiny place. Counter for seven and tables that seat six. Doesn't feel cramped though, but is undeniably small. - Six taps of Japanese craft beer, usually with some rarely heard names. It is the master's passion to get beers that other people don't have. Guess this has mixed results! The Gujo Hachiman beer I had when I visited was very strange, but equally enjoyable. Beers are served in two sizes, 250ml for ¥600 and 480ml for ¥1000, so the pricing is pretty fair. They also offer a three beer tasting set (3 x 150ml for ¥900) and a four beer tasting set (4 x 150ml for ¥1200) so it's easy to pop in and try a few different things which is great. A limited selection of bottles too. Not sure of the prices of them though. Sorry! - Food looks very good. Can see that things are done to a high standard and the master seems to take pride in his food. Apparently he is accommodating for vegetarians. Just let him know and he'll knock something up for you. Thank you! - Bit of a tricky location if you don't live locally. Ten minutes walk from Ikenoue station. Just a little further from Shimokitazawa and Sangenjaya, but pretty much stuck in the middle of nowhere (or as much as that can be possible in a huge city with an extensive transport network). The difficulty does make it all a bit more of an experience though. There you go, I can find a positive in pretty much everything. All in all, this is a great place and deserves to be visited. Don't be put off by the location as in the grand scheme of things, it really isn't that far. Awashima Soko is another one man operation, like Gremlin, Bamboo etc. and it really does feel that these places have a little more 'soul' than some of the more identikit bars that seem to be everywhere now. I think these small businesses are definitely deserving of our custom. I'll be back there soon!